With our passion for chocolate, every individual order and every special wish of the customer is a challenge that we are happy to accept. We realize our customers’ imagination and wishes in chocolate through innovative craftsmanship. We work in close collaboration on the criteria and assignments and develop an individual product called ChocoIdea which customers admire. For us, advising and serving our clients comes first! We spend time on the wishes of our customers and we are pleased only when our customers are enthusiastic! The Cologne Cathedral of Chocolate is made in the A.M.Schoko factory in the Bavarian town of Freising. 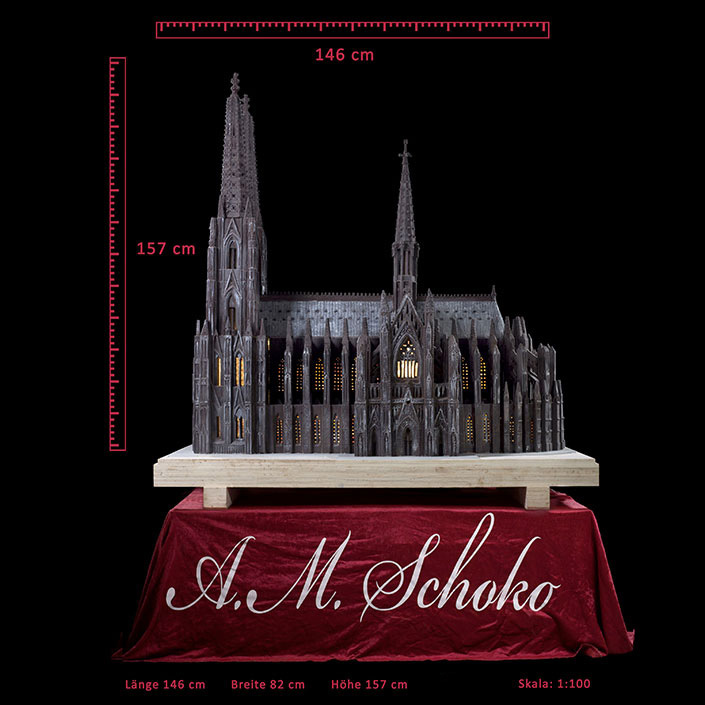 The artwork is done for 600 hours of work and represents an original reproduction of the Cologne Cathedral on a scale of 1:100. 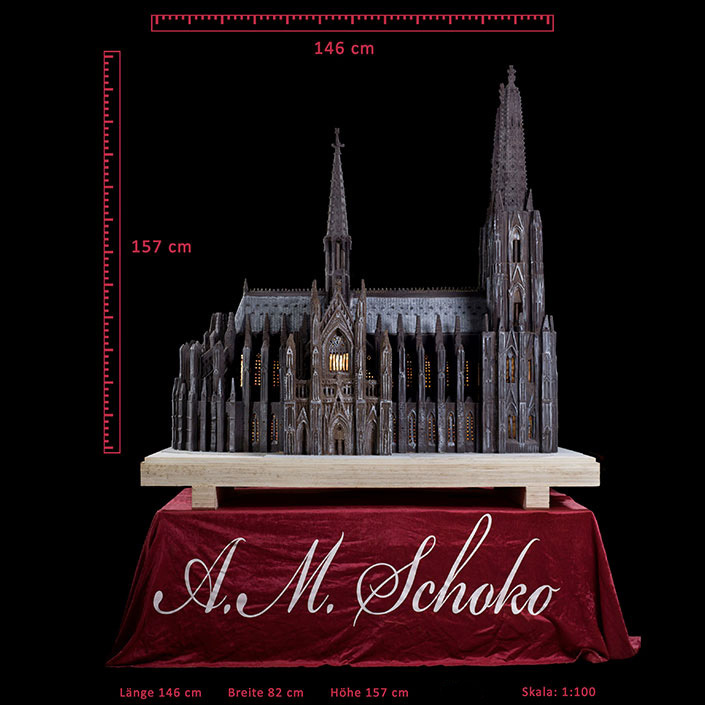 The sculpture of the Cologne Cathedral is 1.57 m high, 1.46 m long and 0.82 m wide. Its weight is nearly 550 kg.